Celebrating Easter so festively even though we were away from home ~ Nothing better than great company, excellent food, lovely weather, and lots of laughs. The amazing bacon cheeseburger I had at Good Stuff Eatery in Washington, D.C. last week ~ I'm still thinking about this little gift from Top Chef Chicago contestant, Spike. Remember him? Listening to an audiobook of The Hobbit on our roundtrip drive ~ I always enjoy listening to a good novel and The Hobbit was exceptional. Eight enthusiastic thumbs up from the Jones Crew. These sweet stacked initial rings I found in Annapolis ~ I picked them up at Lilac Bijoux but they are not available through their online store yet. Similar. Similar. Similar. Yasso Frozen Greek Yogurt ~ WOW! At 100 calories or less each, these are a terrific treat. We have tried Mint Chip and Sea Salt Caramel--both were delicious. If I had to choose I would pick Mint Chip--which is fantastic because they sell them at my Costco. This Sizzler commercial from 1991 ~ Dude. This is bananas. I dare you not to watch the whole thing (Really. Even the last second is magical). 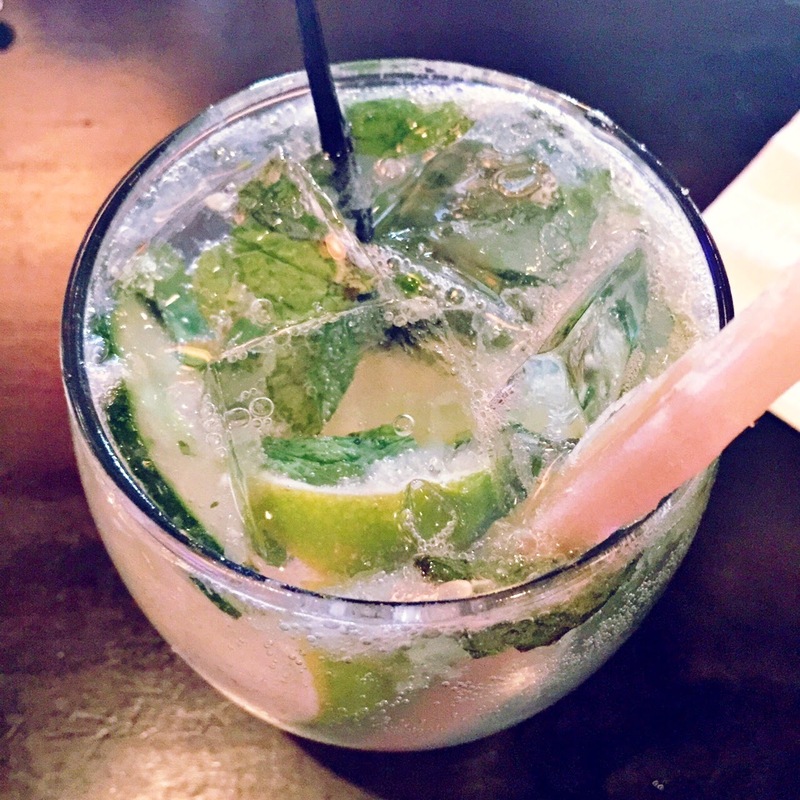 The Tequila Cucumber Mojito that I enjoyed at Paladar in Annapolis ~ If you imagine that a mojito and a margarita had delicious baby--this is what it would taste like. Instead of rum, it has silver tequila, tons of fragrant mint--plus cucumber, lime, and a stick of fresh sugar cane to sweeten it up. So refreshing! Cheers! A spontaneous invitation on Thursday late-afternoon to join your girlfriend at the local fresh fish market for an oyster tasting ~ This is especially lovely when said friend has a teenaged daughter who happens to be available to watch your monkey girls for a quick hour. Yahoo!